← Does D.C. Need Gentrification Commmissions? Perhaps if the sentence read in a “revitalized corridor, holds a special place in D.C.’s history” This post could have been about saving a treasured theater and preserving culture and art in D.C. rather than another post about racial divisions in the city. Oh come on. This is a gorgeous, renovated theater right in the middle of the most exciting entertainment area in DC and the people that run it have never been able to figure out how to put on shows that people want to see. I’ve been living blocks from the Lincoln for a decade and the programming has been poor for as long as I’ve been here. The city should not have to bail out an institution that, with better management, would be successful and profitable. I’m a big fan of this blog, but anyone saying the Lincoln going under is because of race must be called out. That’s just BS. And lazy. There are plenty of examples of real bigotry and it’s human cost in this city. There’s no need to invent new ones. The solution for the Lincoln Theatre’s revenue problem was solved a while back — in 1927. That’s when new owner Abe Lichtman, employer of most of DC’s African American theater managers, installed an underground ballroom and a steady second income stream. This hall, the ”Lincoln Colonnade,” was arguably more important to Washington’s African American community than the theater proper, and most of the stars said to have “packed the theater’s 1,200 seats” actually played for dancers in the Colonnade. The dual revenue stream allowed the Lincoln to prosper for decades. 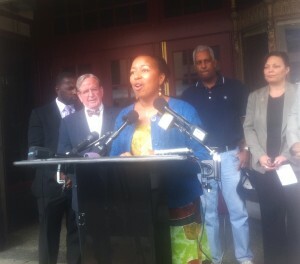 The District chose to ignore this history and do a superficial rehab. Sadly, a cheap fix usually costs more in the long run. From all appearances, the Lincoln needs a new board and a strategic plan. The building is a treasure, but as a theater operation, far from it. There are many folks in this city able and probably willing to consult and help: those who worked with Source Theater, e.g., those at Kennedy Center who offer such serives nationally, the newly-formed Washington Theatre Alliance (formerly Helen Hayes), etc.andsoforth…. Not to mention the several local theaters who need a home, and have a base of supporters. Whining that the failure pending has nothing to do with those responsible for the Lincoln, and, worse, attempting to make a racial issue out of the situation, is a great shame. I must say that I have to agree with your post. I’m 57, I grew up in Columbia Heights, Logan Circle and Shaw. I’ve lived in the same zip code my entire life and I now own a home in Columbia Heights. I’ve seen the Lincoln sit dark and vacant for many, many evenings. 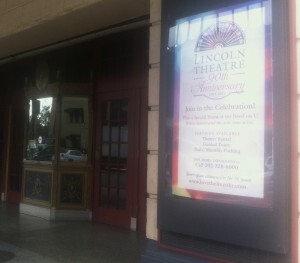 I walk past there on my way to a restaurant or just out walking with friends and I wonder why isn’t there some play, concert, recital, something going on at the Lincoln. My thought was that it was a real lack of managment. How can you have a venue like that and not have it filled almost every night of the year? I understand that there are venues like the 9:30 Club and the Black Cat near by but they don’t hold as many seats nor are they as beautiful and comfortable as the Lincoln Theatre. I think if the theatre is dark most evenings its because the management is lazy and stupid. They’re just not doing their job. Because I’m sure there must be hundreds of groups (community and professional) that would be willing to pay to have their performance at the Lincoln.